I keep seeing this claim about the unpopularity of water fluoridation parroted. I want to believe it because it seems to be a pretty well sourced point that anti-Fluoride side is making. It shows up all the time on my FB feed -- largely thanks to a slew of friends that are behind Flouride Free Houston. Other sites, like FluorideAlert.org make similar claims. Similar claims appear on the video "Which Countries Fluoridate Their Water?". And, this very image was again shared by PreventDisease.com -- a Facebook Page with 282k followers as of the posting. Is there any truth to these claims about the adoption/banning of water-fluoridation? In light of the information in the comments, I believe we'd be committing ignoratio elenchi to exclude mention of water and milk fluoridation in an accepted answer. I didn't know about either of these when I asked the question. It seems that some of the abandonment of water fluoridation is because of these alternatives: most of Europe seems to be treated by one of these two methods. Neither of these two strategies are mentioned by the anti-fluoride camp. They exclude them and leave the reader to draw the false conclusion in ignorance that the only form of fluoridation is water fluoridation -- the method the USA employs. So countries with active water fluoridation (meaning they don't have ban on national level) account for 30% of EU population. According to this report "fluoridation schemes operate in five countries in Europe -- in the UK, The Irish republic, Spain, Poland ans Serbia", for a total coverage of about 13,677,000 people (even in those countries only some parts are covered). Excluding Serbia and Poland that would be 13.397,000. According to Google Western Europe has a population of about 400 million (but there is no real agreement as to which countries exactly constitute western Europe). This would put fluoridation coverage at about 3.3% of the population of Western Europe. So the last quote seems quite truthful. This of course doesn't say much about why certain regions do or do not operate fluoridation. 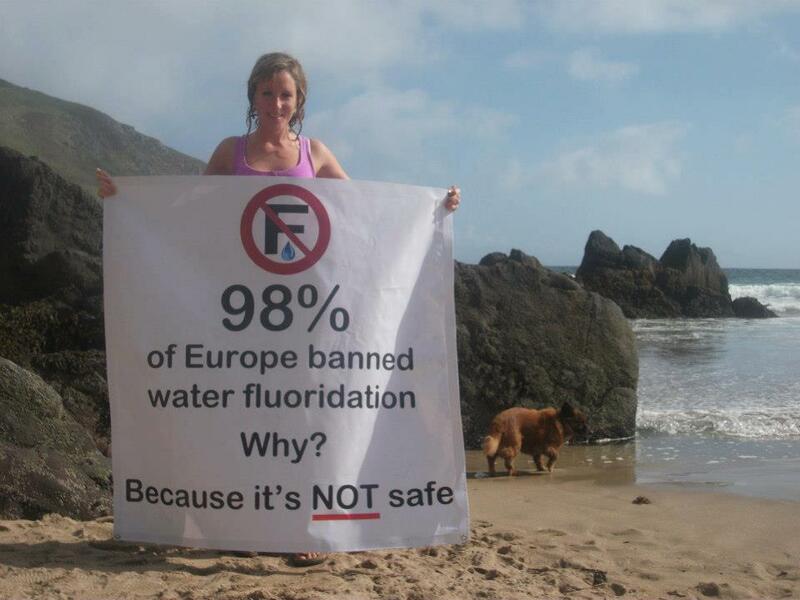 They did not necessarily ban it, specially not these countries that are providing fluoridated water in some regions. UK, Ireland and Spain alone constitute 28% of Western Europe, and it doesn't seem they have any kind of ban. On the other hand, what is the difference between banning and just not fluoridating? It is something that in a given region has to be decided for all, at a governmental level, you cannot say everybody can do what he wants, because everybody drinks the same water. So either you decide to fluoridate, or you don't, ban perhaps is a somewhat misleading term, rejection would be better. The 99% number might be about right as they have excluded the UK and Ireland by saying Continental (quite arbitrarily in my opinion, they could have said Germany and say 100%). Not the answer you're looking for? Browse other questions tagged water environmental-health fluoride .